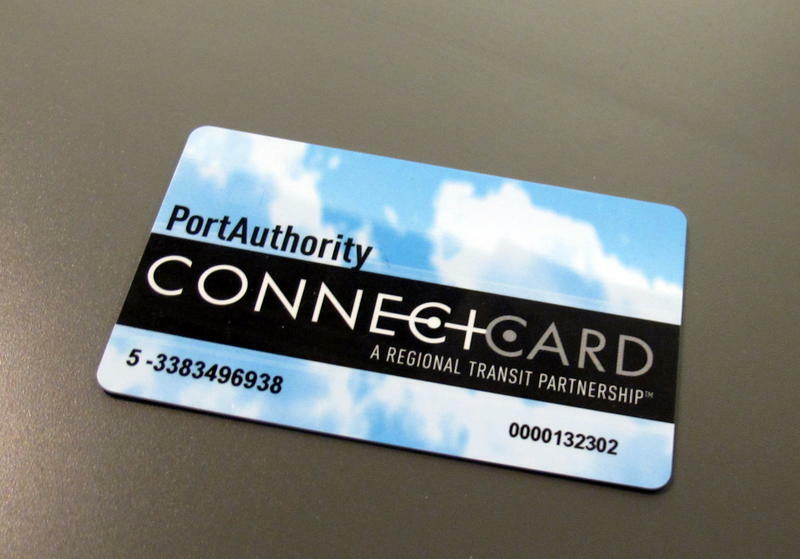 In mid-June, the Port Authority announced it is considering a one-time $5 fee for ConnectCard service. The proposal has been met with some criticism from riders, who expressed their views at a public hearing on Tuesday. Many who spoke also offered potential fixes to avoid charging for the cards. Edward Wagner of Brighton Heights opened up the public comment session by suggesting the Port Authority should not only keep ConnectCards free, but should also offer a discount to riders who use them because they save time. He said widespread use of the card would reduce situations where bus drivers tell riders to simply get on without paying because they do not have enough time to wait for them to put in their coins. PAT says it is trying to recover the $3 cost associated with issuing the cards. Claudia Kirkpatrick said the Port Authority should not impose a fee for the cards, and instead should consider making rides for the poor either discounted or free, much like the system currently in place for elderly riders. Riders can still get a free card until August 1 at select retailers throughout the area. A vote on instituting the fee will be taken July 24. PAT officials did not respond during the public hearing. Port Authority of Allegheny County officials are considering charging up to a $5 fee for their credit card-like ConnectCards to help offset more than $1 million already incurred to purchase and support their use. More than 350,000 ConnectCards have been distributed for free since they began replacing paper passes and tickets in 2012. Spokesman Jim Ritchie said the authority swallows about $2.95 per card. The proposed $5 charge would make the program more sustainable, he said. Port Authority officials are proposing a budget of $397.8 million for FY 15-16, an increase of about $9 million from this year. The 2.3 percent spending increase will not result in a hike to the base fare ($2.50), service cuts or job reductions. “This is absolutely a really good sign for the Port Authority,” said transit agency spokesman Jim Ritchie. In fact, the preliminary budget calls for a limited service increase in some routes to alleviate overcrowding. 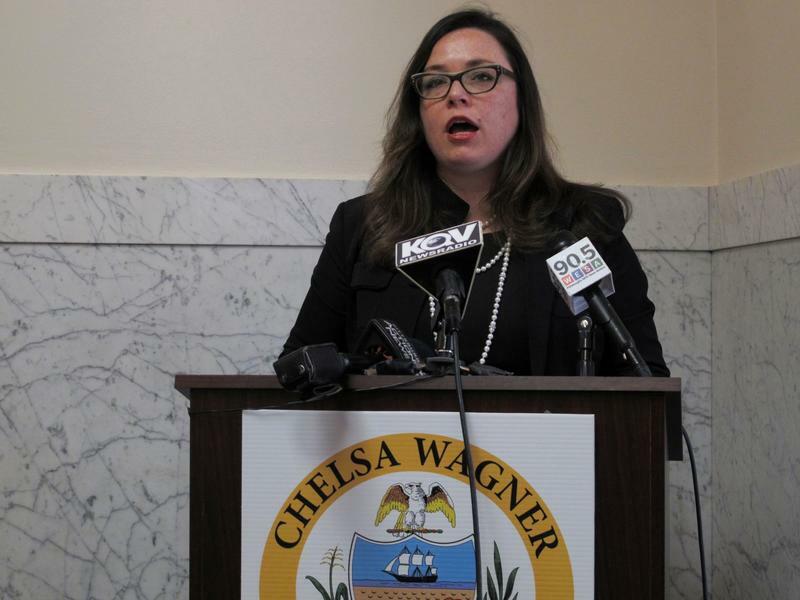 Allegheny County Controller Chelsa Wagner on Tuesday announced she has filed legal action against four county authorities that she said are refusing to allow her office to conduct performance audits. Wagner is seeking to audit the Allegheny County Airport Authority, the Sports and Exhibition Authority of Pittsburgh and Allegheny County (SEA), the Allegheny County Port Authority, and the Allegheny County Sanitary Authority (ALCOSAN).